Every woman wants to have a slim, tight and curvy thighs, and they do exercises, yoga and change their meal plans but never get these tips work, why? because before losing the fat in thighs you need to know what thighs do you have, otherwise no tips will work at all. There are different types of thighs such as fat thighs or muscular thighs, to know what type of thighs do you have you would need to take a little test which is very easy and you don’t need any machine to test it, you can take this test easily at home, how? read below. First of all stand and just take a breath, hold and straighten your leg. Then, tighten your thighs muscles closely. Result #1: If you think you can not pinch much then it means you do not have much fat and have large thigh muscles with the little cellulite. Result #2: If you think you can pinch your thighs much then you have fats in your thighs and also you are suffering from cellulite. Losing weight or fats of your body is still a myth because 80% people can not concentrate on exercises and stick with the timetable of their meal. If you really want to lose fat in thighs then you first need, to be honest with you and commit that you will follow these rules because without following these rules you won’t be able to lose an inch of fats in your thighs. The total schedule and timetable of this tip has three parts. So if you are honest and want to apply these rules then read how to lose fat in thighs otherwise leave it here. These are the three parts which you would need to do for losing your thigh fats. Let’s start exercise on daily basis, if you really want to lose weight. If you need to lose fat from thigh then you should have to do full body exercise. The full body exercise will definitely lose all of the fat from your body and give you an ideal figure, according to your wish. If you really want to lose your thighs and you don’t have much time then you can walk. Yes, walking is the best and overrated exercise for losing things. You can lose 100-400 calories with per hour walking. It’s depending on your weight, so let’s start walking as much as you can. Full body workout at the gym is also very reliable and best for burning calories in a very safe manner. Biking and swimming are the best exercises to burn a lot of calories in little time. If you want to lose your fat in thighs then must do solid body workout like spin your legs in swimming for an hour three times a week. You can also join any competitive league for this purpose as the sports are best to lose fat from the body. So, start playing sport with friends or join any league, it will help you to lose fat. If you don’t want to join any league then you can set a schedule for the gym every week. Did you know which type of exercise is great for burning fats and calories? For your kind information, Yoga and Pilates are not on the list. Yes, they can burn maximum 200 calories per hour and if you are serious about losing thigh fat then add some extra programs in your routine. Make sure you are getting enough sleep with all of the workout. If you get enough sleep then your brain send many signals to your body. Water is the main source of the healthy body. Water is a healthy, cheap and natural liquid diet for everyone. It can flush out all the harmful toxins and carries all nutrients to cells. T provides moisture to body tissues. Avoid all the sodas, juices and energy drinks because they are not good for shedding pounds. They contain tons of sugar and more than 300 calories. On another side, green tea is the best liquid diet after the workout. So, if you want to hydrate your body with liquid diet then a cup of green tea of a glass of water is best just before taking a meal. Always eat healthy food while you are on dieting. The healthy food you choose from your meal will definitely help you to get fit and slim down your body. You need to balance your meals every time you sit for eat. These some of the minerals you should have to add in your meal below. Carbohydrate is the most important part of your meal while dieting. You can take carbohydrates from oats, unprocessed foods, and whole-wheat products. Dairy is the most avoiding products while dieting. You need to avoid dairy products but you can take low-fat dairy products like yogurt as it contains special bacteria which help you digest food. Dairy products are good source of calcium as well as protein. 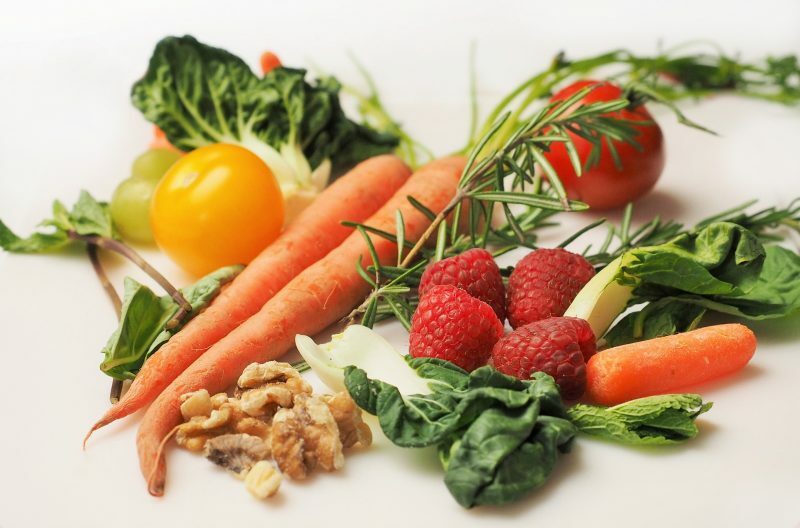 Fruits and Vegetables are the natural and healthy foods. You should have to add fresh fruits and vegetables more than other foods while dieting. The blueberries, kale, and swiss chard are the most healthy food for diet. Protein is the main and important one for everyone. If you are on dieting then try to take lean meats like fish and poultry. You can also get protein from nuts, beans and soy products. Good and Bad Fat is the most important part of your diet plan. The products like nuts, fish, seed oil and olive oil are full of with monosaturated and Omega 3 fatty acid which is best for you but you should have to avoid saturated products like cakes, candy and etc because they include bad fat. It is very common that overweighed people take too many carbohydrates in their diet but they don’t know that the food rich in carbs may cause of the insulin released by the body. The low carbohydrates foods are very important for you, if you are on dieting and losing thigh fats. The food includes protein, vegetable foods, soy products, nuts and fruits are low carbohydrates foods. Unprocessed foods like beef, turkey, pork, lamb, chicken, salmon, mackerel, tuna, green vegetables and trout are best for you. The processed foods, sugar, margarine, starchy vegetables like potatoes, corn, and beans are not allowed diet if you want to lose thigh fats. The grains like pastries, cakes, bread and fruit juices are also not good for you. So, avoid them. You can take low-calorie diet if you burn more calories. If you want to lose less than 2 pounds per week, try to intake 20% to 35% of entire calories per day with fat, 45% to 65% calories per day with complex carbohydrates and 15% to 25% of calories per day with low-fat protein. The ketogenic diet is same as the low-carb diet. This is a diet in which you need to avoid eating carbohydrates from substituting protein and fats. Keto diets are lower in protein while higher in fats. 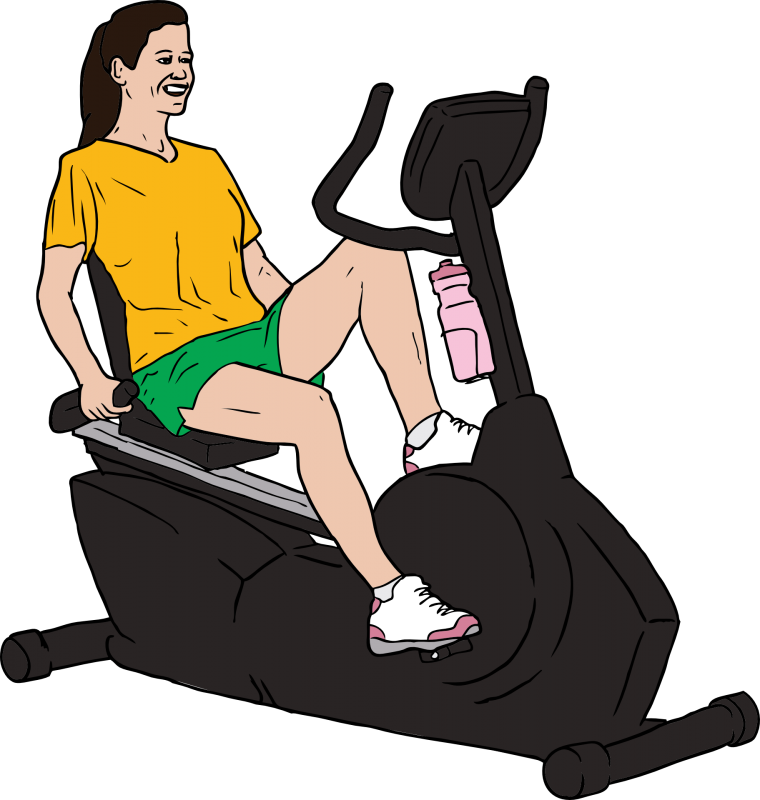 Do lounge exercise daily to lose thigh fat. Simply, lunge forward with one leg and bend opposite knee about one inch above from the ground with 5 to 8-pound dumbbell in one hand. Step back with leg and continue with opposite leg. 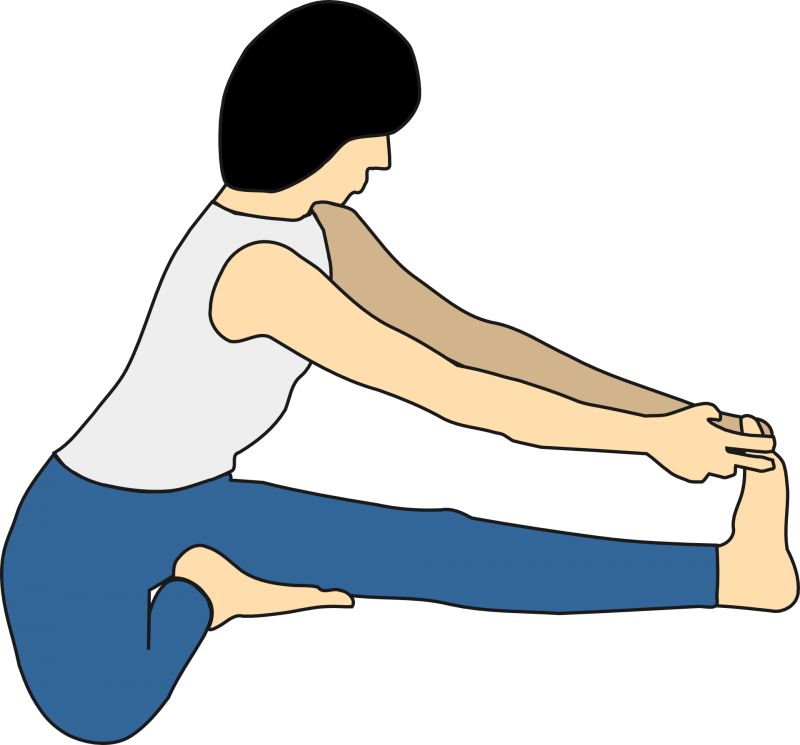 Draw it in a manner that it taps your right knee back slightly and extend your leg out again and again. Repeat the steps with another leg. Squats are the best exercise for losing fat from the body. There are so many types of squats exercises for thigh fat. Here I am sharing one basic and simple exercise which will definitely help you. Simply lower your bum down to the ground with your leg shoulder width apart and make your thighs parallel with the ground. Make sure; balance yourself here at least three to four seconds before push up back. You can do this squat with exercise ball also. So these are the exercise and tips which will reveal the answer to this question “how to lose fat in thighs” but the very important and the first step before starting these tips you would be commuted to yourself that you will concentrate and would be consistent for at least one month. If you can not then attempting these exercises and healthy diet tips won’t work at all and you will just waste your time because you will be failed to see the actual results.